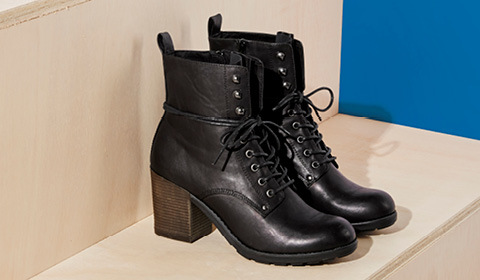 Edgy biker boots will give your outfit a tough, modern edge. Combine them with a casual unisex style or create a contrasting look by pairing them with a flirty floral dress. Either way, these combat boots will make you look cool, as if you were about to hop onto your Harley-Davidson and ride off into the sunset. Biker boots suit both women and men, making them a truly unisex shoe. The characteristic round toe and large buckles are what define the biker style. Biker boots with studs are especially cool. Because these edgy boots are normally ankle-high, they are often sold as ladies’ biker ankle boots. 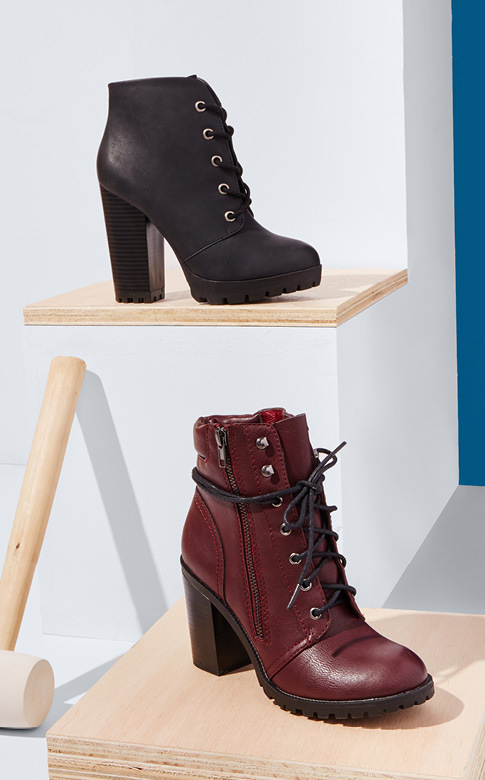 Spice up this year’s winter wardrobe with a rocker-chic pair of biker boots – and create a FABulous look! The traditional biker boot comes in black, is made from robust leather and features large buckles and often has studs as well. But there are also more sophisticated versions in brown, grey, cream or blue. Fearless fashionistas don the biker boot in red – after all, this bold shade is the colour trend of the season. Biker boots are ideal for winter. The robust leather is easy to clean and can take the burden that this harsh time of year places on our footwear. In fact, a slightly tattered look is preferable when it comes to biker boots; vintage biker boots and boots with a distressed or worn look create an authentic rocker-chic style. Biker boots with a heel add a touch of sophistication to this style while giving you that little bit of extra height. The edgier look with flats or mid heels is more casual. A less traditional alternative to the classical combination of buckles and studs is the lace-up biker boot, a look reminiscent of Dr. Martens. Another eye-catching alternative is the ladies’ cowboy biker-boot. Fashion-forward ""it"" girls will opt for patterned or embroidered biker boots that will lend a touch of bohemian style to any outfit. If you dare to go bold and make a fashion statement with your boots, make sure to keep the rest of your outfit simple. This will ensure that the biker boots create the desired effect, rather than clashing. Lined biker-boots and combat boots are a big hit this winter season, keeping your feet warm while ensuring that you still look cool. Wear them with the old favourite, skinny jeans, or with the trendy cropped jeans with frayed edges to create the perfect casual look. Pair the boots with a cute floral dress, warm stockings and a thick, grungy cardigan for a 90’s retro look. 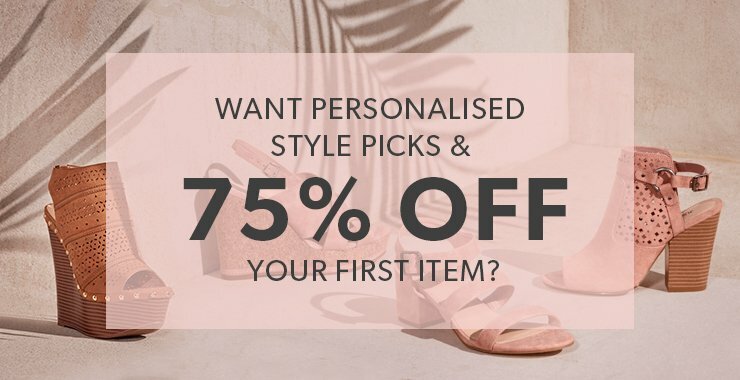 Whether you’re looking for boots for bikers, rocker chicks or fashionistas, you’ll find them all in our latest collection as well as our sale section – and if you sign up for a VIP membership, you will receive a discount of 75% on your first pair of boots. Stay ahead of the pack when it comes to fashion – simply choose your favourite pair, slip them on and you’re ready for winter.